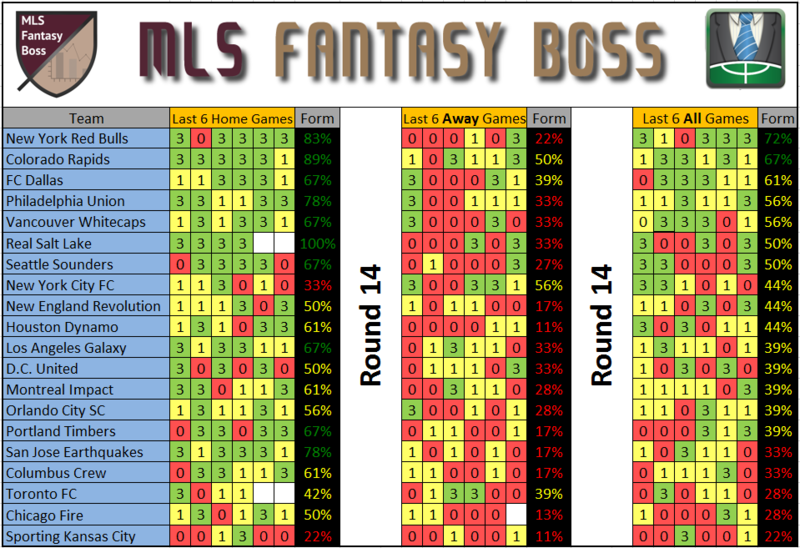 Here are the Form Difficulty Charts – Round 14 of the 2016 MLS Fantasy season and form breakdown for Home and Away games from 2015 plus the first games of 2016. If you’re not familiar with these charts, I’ll explain below. One early warning, since these charts are based on team form, the accuracy may be off some until more games have been played. 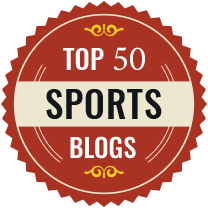 Copa America Break Updates: I made a few changes over the break to make things easier to read. I re-ordered the flow of W/L/D tracking so it flows from right to left. 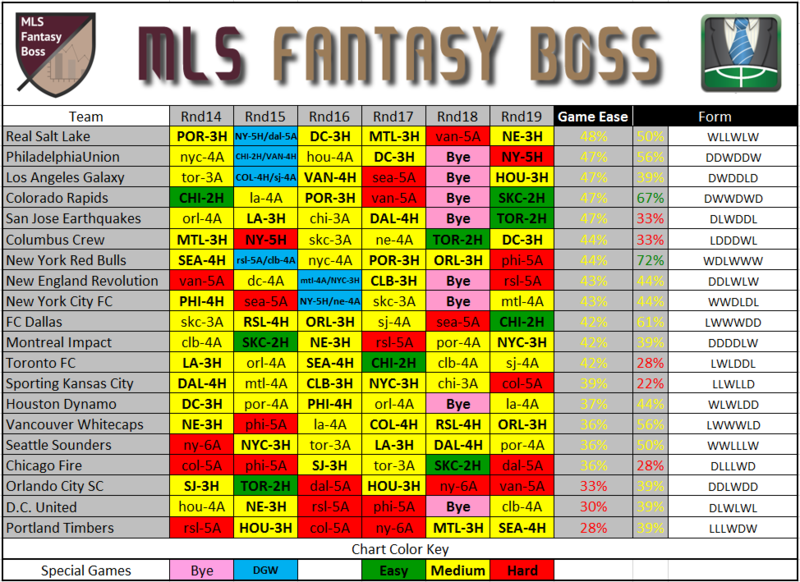 This was to make the chart more similar to the way the MLS Season Standings page tracks games. So when a new game is added on the right, the game on the far left will fall off the chart. You’ll also notice that I changed the GW# (Game Week) to Rnd (Round). 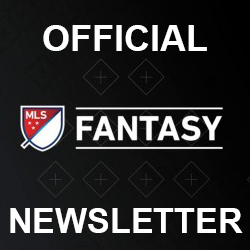 This is because Fantasy rounds do not match up the Actual Game Week. Perhaps this is just a matter of semantics, but I do hope it makes things a bit easier to understand. This update required a complete rework of the table, so if anyone notices any errors, please let me know by posting here and I’ll update the chart as quickly as possible.